Hiya Fellas About a month ago me and a couple of mates decided to get into Warhammer and in particularly AoS. We have had tons of fun painting, collecting and playing our models however recently we have all decided to *buff* our army and make them more competitive for locals. My mates are playing Legions of Nagash And Ironjawz. My current army consists of...: Leaders 1x Bloodsecrator 1x Bloodstoker 1x Lord of Khorne on Juggernaut (Usually my general) 1x Slaughterpreist (With killing frenzy for Bloodletters) 1x Wrath Of Khorne Bloodthirster Units 3x Mighty Skullcrushers (Ensorcelled Axes) 3x Mighty Skullcrushers (Ensorcelled Axes) 3x Mighty Skullcrushers (Bloodglaives) 20x Bloodletters 5x Wrathmongers (These guys are so fun xD) 5x BloodWarriors (Gorefist) 10x Bloodreavers (I usually use them as a mobile blood tithe point.) Battalions Brass Stampede In total my army is: 1990/2000 I also have a Bloodthrone, 3 Bloodcrushers, 10 more Bloodreavers, 10 bloodwarriors (with two axes), 1 Khorgorath, and 1 Mighty Lord of Khorne, Any advice or tips would be greatly appreciated as i am sure some other Khorne players may also find this discussion helpful. Please also share your combinations and past experiences which may also help out newer Khorne players. (Also i am doing doubles tomorrow with me and my IronJawz friend vs my Legions of Nagash friend and a Nighthaunt player. Tips on that would be ace!!) Thanks!! Even the deep marshes and the boggy moors of the Realms are not untouched by the destruction of the Gargants, through the lurking shadow and impenetrable mists they lurk waste deep in the repugnant waters soaking up their fetid stench. Such a pungent odour whilst repellent is a boon to all those these Bog Drinkers would seek to consume, the soft mud of their marshes homes conceal the footfalls of even titanic Gargants and were it not for their odour these monsters could have their fill of livestock and innocents. Previously these hideous Gargants would have been content to lurk within their own swamps and bogs, preying upon those who staggered unwittingly into their domain. But even such forgotten corners of the realms have not escaped the wars that now spread like wildfire. The pestilent touch of Nurgle has encroached upon the Bogdrinker homelands, poisoning all they would have called food, worse still comes the touch of Nagash where even their old meals now seek to bite back against the Gargants. As their habitats become increasingly hostile the Bogdrinkers are stirred to move further from their homes, marching onwards toward unwitting new victims Many Bog Drinkers bear noticeable traits from their homeland, massive gills to breath as they lurk just beneath the waters of the marshland, bulbous eyes to see even in the low hanging mists that conceal them. Other have webbed toes and fingers to wade faster through the thickened waters. Howdy. Me and my mates decided to get into Age Of Sigmar about a month ago now and all decided to get an army each and have some fun with it. Personally i thought Khorne looked really fun and also kind of gave me nostalgia from the Heroes of might and magic series inferno faction. I have been having tons of fun painting, building and playing Khorne and having games 3 times a week at my locals and with my friends is a really enjoyable experience. A month later and we are still having alot of fun playing however we are all trying to get a lot more competitive (Which i see as a good thing). Some of our other friends may also be getting into AoS so hopefully i will be playing for a long time. Today i decided to make an account to receive tips and advice from other experienced players and will also try to help you guys out as well. Looking forward to hearing from ya! Good morning all, The spark of creativity has caught me again and whilst looking for a decent narrative arc to design a new faction I stumbled across the lonely looking model of the Ogor Firebelly in a faction all on his own, the model is packed full of details and the small snippet of Lore with Gorkamorka being revered as the Great Suneater along with the factions passion for fire and all things burning really got my creative juices flowing. So working from that small narrative blurb on one cool model I have resolved to attempt to design, create and eventually share in a nice pretty package a battletome for the faction I have since renamed from the quirky but a bit flat "Firebellies" to the "Suneater Tribes" So to the concept, unlike alot of other Grand Alliances I am not all that fond of mono race builds for Destruction, instead I want to approach this as a common theme that caught up many of the races into a shared ideal in how to burn the world to a cinder. So I will be looking into integrating Grots, Ogors, Trogoths and Warbeasts into this faction. The background is still a heavy work in progress so I'll start with key themes instead: - Fire Centric - Faction uses INFERNO tokens representing massive ritual fires to the Suneater, unlike other factions they do not place their own terrain but instead slowly burn everything on the table (Destruction not creation) - Destruction PRIEST and WIZARD heroes, Gorkamorka being a god and all I'm looking to integrate priests (mostly grot) and wizards (mostly Ogor) both into the faction, the priests stoke the fires and the wizards then use said flames to punish enemies. - New units - As well as liberating a few unloved scrolls from other destruction factions the aim here is to boost the roster of warscrolls available to destruction and tie them into an engaging force, for this reason I will be working on a number of new unit conversions aswell. UNIT CONCEPTS: The concept all started with the Firebelly model but to really kick start the faction I had to make it more epic, for it to be the creative lynch pin of the force I needed a sense of impact and grandeur so here is my current WIP of the Exalted Prophet on Magma Drake: And a Concept Warscroll: Aswell as a WIP warscroll for a Grot Firestarter Priest: If anyone wants to contribute ideas, background, scroll concepts or feedback I'd love as much help as possible! Cheers Ricki (Keep up with the conversions here: I will continue to update this first post after this point with any changes, new scrolls or information that we build up as a community for this project aswell as my own musings so anyone new to the thread can see the latest information ALLEGIANCE ABILITIES The Tribes of the Suneaters do not construct villages or monuments to some petty god of Man or Aelf, nor do they waste their time digging in the dirt hoping a tree sprouts to do their bidding. The Suneater demands that all be burnt in his name that the flames might reach up to the sky itself and set it ablaze. An army with the SUNEATER TRIBE allegiance gains the PYRES OF THE SUNEATER special rule, additionaly: PRIEST of the Suneater tribes may select a prayer from the INVOCATIONS OF THE SUNEATER WIZARDS of the Suneater tribes may select a spell from the LORE OF FLAME HEROES of the Suneater who are able to select an artifact may do so from the SAVAGE TROPHIES list, alternatively if they have the TOTEM keyword they may select from the MARKS OF AQSHY. Pyres of the Suneater Before either army deploys on the battlefield select one piece of TERRAIN and place a single INFERNO MARKER, it is possible for other INFERNO MARKERS to be placed throughout the game through abilities or artifacts. Each turn you may enact the below rule in your hero phase: PYRES OF THE SUNEATER In your hero phase count the number of INFERNO MARKERS currently on the battlefield and select an armywide ability from the chat below. You may select one ability to enact until your next hero phase upto the number of pyres you have (you may select a lower number ability if you wish) to channel the favour of the Suneater. Only one such Pyre Ability may be in force at any one time. Once an ability has been enacted roll a D6, on a roll of 1 you must remove 1 INFERNO MARKER from the battlefield as it is drained of its energies. INFERNO MARKERS ABILITY 1 Choking Smoke – With the smoke from the Pyre hanging low over the battlefield the Suneaters can conceal themselves with ease. Subtract 1 from any attacks targetting a SUNEATER TRIBES model in the shooting phase 2 The Leaping Flame – SUNEATER TRIBE models may reroll failed charge rolls this turn, in addition any successful charge that rolls a 9+ immediately inflicts 1 mortal wound on an enemy unit within 3 inches. 3 The Roaring Blaze – SUNEATER TRIBE units may run and shoot, or run and charge for the duration of this turn. A unit may not elect to do both however. 4 Undying Embers – SUNEATER TRIBE HEROES immediately heal D3 wounds, additionally increase the attack characteristics of their weapons by 1 until your next hero phase. 5 or more Shimmering Heat – SUNEATER TRIBE units that suffer a wound or mortal wound may ignore them on a D6 roll of 5+ this turn as the heat of the blaze warps away otherwise mortal blows. Prayers: The priests of the Suneater dance frantically around the Pyres to his glory, each seeking to harness the flames of his almighty majesty that they might garner a small portion of his attention to smite their foes. Each PRIEST in a Suneater tribes army may select one Prayer from the list below, this prayer may be invoked in addition to any known on their Warscroll. You may select a prayer or alternatively opt to roll a D6 to reflect the random nature of the whims of destructions. INVOCATIONS OF THE SUNEATER Wrath of the Blackened Wyrm – A priest channels his will into the thick black smoke billowing from the pyres, coiling it like a serpent to obscure the Fireeaters from their foes. Pick one TERRAIN feature within 15 inches of this priest and roll a D6, on a roll of 4 or more enemy models may no longer draw line of sight through or over that terrain feature. Judgement of the Suneater – The best blades are formed in the hottest of flames, pick a friendly unit within 12 inches and roll a D6, on a 4 or more that unit immediately heals D3 wounds. On a roll of 1 however they are found unworthy and instead the target unit suffers D3 mortal wounds. Volcanic Blows – Pick a friendly unit within 3 inches and roll a D6, on a 5 or more that units weapons are charged with the force of a volcanic eruption. Until your next hero phase whenever your target unit rolls of a 6 or more to hit resolve their attacks at a rend of -2. Under the heel of Gork – Select an enemy unit within 18 inches and roll a D6, on a roll of 5 or more that unit counts its SAVE as its movement value until your next hero phase (A unit with a save of 3+ now has a move of 3) as they feel the weight of Gorks mighty foot pushing down upon them. Burning Blood – Select a friendly unit within 3 inches and roll a D6, on a roll of 4 or more that unit is enchanted. Until your next hero phase, if at the end of any combat phase that unit has lost wounds in close combat their attacker suffers D3 mortal wounds as their foes blood burns at their skin. Burn it all – Select a friendly INFERNO MARKER and roll a D6, on a roll of 5 or more your prayer has been successful. Roll a dice for every ENEMY model within 6 inches of that marker, on a roll of 6 or more that model suffers a mortal wound as the pyres flame suddenly erupts outwards. TROPHIES OF AQSHY The Elusive Spark – This shimmering spark was once a fire imp, its essense ripped away by Suneater priests it now fuels a lantern lengthening and distorting the shadows of its bearer into a haunting spectre. Enemy models within 6 inches of this model reduce their Bravery by 2 Drakeblood Oils – Pick one MELEE weapon for the bearer to apply these oils to, this cannot belong to their mount. Any wound rolls of 6 or more with this weapon inflict a single mortal wound in addition to their normal damage Embers of the first Pyre – Blessed are those given but a part of the first Pyre of the Suneaters, this model counts as an INFERNO MARKER for all purposes except for the Pyres of the Suneater special rule. Molten Cloak – The bearers cloak ripples and shifts as though a coarsing magma flow, enemy models attacking this Hero in the combat phase must reroll any hit rolls of a 6 as they are captivated by the cloak. Volcanic Shield – Hits struck against this shield reverberate with the deafening boom of a volcanic eruption, Cunning Ogors bang their blades against the shield on the charge to send their foes off balance. Enemy units within 3 inches of this HERO may not be selected to attack in Melee until all other units have been resolved. Bonehewn Effigy – This model has a small token effigy of the Suneater carved from the bones of a great drake, it is said when the strength of the bearer begins to leave their form they may drain the last of the drakes energies from the bone to reinvigorate themselves. Once per battle in your hero phase you may elect to use this effigy, restoring D3 wounds to this model. SUNEATER TRIBE UNIT ROSTER Heroes: Volsungr on Magma Drake (mounted wizard ogre) Gothi Fyri (goblin priest) (new scroll) Besekr (Ogre buff wizard) (new scroll) Battleline: Ashen Grots – Grots by their very nature and small stature often find themselves at the bottom of the pecking order in the mortal realms, yet these cunning creatures are drawn to power either desiring the accquisition of it or to be elevated by their very proximity to it. Those that follow the will of the Suneater do so with a fanatical devotion, revelling with glee in their ability to slip past the walls of the cities of order and start a blaze deep in the heart of their enemies fortifications. These blazes are much like the grots, small and weak when isolated but when many rise up together they are able to topple even the biggest of foes. Ashen grots make up a large portion of the Suneater tribes, and their fanatical cackling laughter ripples through the forces with every fresh pyre lit, they bombard their foes with an endless onslaught of black powder spark grenades or get in close to slit throats with crude but glistening obsidian blades. (Battleline) The Svangur – Sunbleached and half Starved ogors saved from the Desert by the will of the Suneater, these fanatics descend on their prey with startling speed and ravenous appetite. Those who have looked upon the face of the Suneater are often driven mad by the experience, gouging out their fingernails in a gruesome display of devotion and forcing in jagged shards of obsidian in their place, others go even further, ripping the teeth from their mouth to replace them with wickedly curved metallic tusks with which to gorge their foes during the feasting on the battlefield. These Svangur never truly lose the hunger they felt when wandering the deserts, it is ingrained into every element of their being and the urge to feast drowns their every sense, on the field of battle they a gruesomely gore drenched sights as they feed on fallen foes before descending packlike onto the next. (Battleline if your army has SUNEATER allegiance and your general is a BESERKR) Gullveig Ogors – Basic Ogor infantry of the Suneater Tribes, they combine the old Iron Guts weapons as specialist weapon choices within a traditional Ogor unit Other: Bal Kasta – Ogors firing shards of burning rock from crude blunderbusses. Aldin Draken – The Aldin Draken are enormous even for Ogors, drawn from the ranks of the Svangur these chosen of the Suneater have walked the blasted wastes alone and without supplies to look upon the face of the Suneater and be judged. Those who emerged from the wasteland are a cruel sight to behold, their skin is blistered and scarred, coarse to the touch but toughened in the eternal heat of the Suneaters embrace. Their eyes have blackened to coal seemingly at once unseeing and all too piercing for their kin to endure, some say to be looked upon by the Aldin Draken is to face the wrath of Gorkamorka himself. When they return these champions do not seek food or comfort, instead ascending the peak of the Wyrms nest, a bustling feeding ground for the Wingless Drakes of Aqshy, here they face their final test. To ascend to the rank of Aldin Draken the champion must first claim his mount from the vicious lizards that populate the Wyrms nest, each must engage in mortal combat with the mount with many succumbing to the cruel claws and wicked beaks of the fattened lizards and feeding the nest.. Those who emerge triumphant use brute force and strength of will to beat a drake into submission, triumphants ridding their new bruised and beaten companion down from the mountaintop. In battle these Cavalry are slow and cumbersome, the drakes themselves lumbering and covered in heavily armoured scales whilst their riders wield crude heavy crossbows firing obsidian tipped barbed bolts across the battlefield, Often first into the fight they are more than a match for many a mortal hero and used as the elite guard for the Prophets of the Suneater Tribes. Pyre Belcher – a great beast from Aqshy bloated and tormented by its Grot handlers, when needed it can be provoked to unleash a great torrent of burning saliva in the rough direction of the enemy (altered squig gobba) Behemoth Slatr Warbeast – "When one looks upon the Slatr Warbeast it is hard not to be wowed by the majestic nature of this primal creature, it is not by any stretch of the imagination a creature of traditional beauty but one evolved perfectly for longevity and resilience. Indeed it has never been recorded of such a creature perishing due to natural causes lending credence to the theory that such a beast may be immortal lest for death by less natural themes. Its flattened and bullish face is akin to many a nightmare as a child with the full stretch of its maw measured at over a cart in width and at least the same in depth to the gullet though I have yet to find an apprentice willing to test that, when looking into its eyes you are struck by the sheer simplicity of the creature not burdened by higher thought or malice. The juveniles of the species are often found in migratory herds travelling alongside the Suneater tribes of Aqshy, seemingly drawn moth like to the pyres to their primitive gods that these tribes are prone to igniting, indeed the subdued state these creatures enter in the presence of such a blaze has allowed ramshackle howdahs to be assembled across the beasts broad backs. It is then sadly witnessed that when these savage tribes march to war they goad the Slatr alongside them, bombarding their enemies from afar with crude catapults launching burning debris down the battlefield. Such burning projectiles seemingly spur their mounts onwards chasing the bright lights racing across the sky" Mighty Slatr – Dwarfing even the regular Slatr these beasts of war can carry units into battle, they are also inspiring to those Suneaters nearby as living manifestations of the might of the Suneater. Crewed by an Ogor chieftan with Balkasta as their personal guard. (Edit mammoth scroll)) Magma Dragon (use normal scroll) Warmachine Stone Hewn Effigy - This crudely hewn effigy is said to show the true face of the Suneater, a cruel and jagged visage of a massive Ogors face carved out of an enormous volcanic boulder said to of been thrown by the Suneater himself during the first eruption of Aqshys biggest volcano. It is chained to a demi-gargant who has the hnour of bearing it into battle, dragging it through the dirt behind him in a testament to its gods glory. SUNEATERS BATALLIONS Fire and Ruin The Ogors and Grots are not the only ones who revere the great Suneater, though perhaps the most prolific, many an Orruk or Troggoth has been swayed by the roaring flames and blistering heat of the devotions of the great god of Flame. These would be worshippers form a court around particularly adept or potent Volsungr hoping to learn... or steal the secrets of the Suneater tribes and their seeming favourable position in the eyes of their savage God. - Volsungr on Magmadrake - 3-5 DESTRUCTION WIZARDS Forbidden Knowledge- The Volsungr from this Batallion knows the SOLAR FLARE spell in addition to any other spells known. Other Wizards in this batallions know one additional LORE OF FIRE spell in addition to other spells they know. Trials by Fire- WIZARDS from this Batallion may reroll one failed casting attempt once per turn. To do so inflict D3 mortal wounds on one model from this batallion before attempting the reroll. In the Presence of Greatness - WIZARDS from this batallion may add 1 to casting and unbinding rolls if they are within 3 inches of any other models from this battalion. Deluge of Phlegm and Fire The Gothi Fyri revel in malicious delight at setting blazes, the more prolific... the bigger the flame, the louder the screams of their victims burning alive the better. Some Gothi Fyri take the opportunity in the heat of battle to slip from the front lines (if they every truly made it there in the first place) to poke and prod at the mighty pyre belchers as they launch their burning deluge down the field. In their manic delight they often find themselves loading the giant squigs gullet with all and sundry to stoke their flames higher, praying and screaching to the great Suneater for a stronger flame to consume their foes. 1-3 Gothi Fyri 2 x Ashen Grot Units 3 Pyre Belcher Tsunami of Spit - In your hero phase roll a D6 for every pure belcher from this batallion within 6 inches of a Gothi Fyri. On a 4+ that unit may shoot as if it were the hero phase. Survival of the Cunning - Ashen Grots from this batallion gain the “Cunning not Brave” rule from the Gothi Fyri Warscroll. Hello! I am new at foruk. I am from Argentina and play Sylvaneth! Hi guys I am person who has just gotten into AoS and into Miniature war gaming in general, I decided to dive deep into this hobby because I greatly enjoy painting miniature and I always have drive to keep improving my art skills. 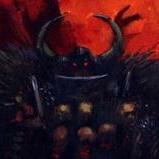 Also I have always been a fan of Warhammer after I played video games such as Warhammer Online and Dawn of War. Currently I am working on my Ironjawz armies because I always loved Warhammer Orcs from both Universe and I hope to eventually get into the gaming part of the hobby. Hello All. Name is Jarek but Y'all can call me JZ. Originally from Poland, now South Western UK. I wanted to start this hobby for, like, forever. Finally i bought this small, unholy box called Storm of Sigmar and this started my real path down to addiction. At this moment i'm waiting for a courier with AoS starter but, sadly, i haven't decided with army to collect (for now the Bloodbound + deamons are on my mind). So these are some of my first miniatures I'm working on for AOS. I painted the second one's skin exactly according to the Blightkings tutorial on Warhammer TV. My questions are; how can I avoid the textured look on some of his parts? Also my figures always seem to appear slightly chalky. Am I thinning to much? Not enough? I thin with straight tap water. I used a homemade wet pallet for the unfinished mini. Any constructive criticism and tips are very welcome. Hi there guys! Recently a friend of mine told me that Fantasy was dead. Because GW wanted to launch a new game. So I feel kind of sad because I really loved my High Elves. But then I started reading about the game and started to seem trully nice to me. So I want to start a new army here I'm open to all suggestions but: -I'm not very good at painting. In fact my elves looked awnfull... Something easy would be nice -I'm not a fan of the new space/land marines. -As I don't have a great amount of money to spend. I would like a list more or least cloose. -That list should be able to win games. With this I meant something like the tier list in Hearstone a t2 army is ok. I don't mind don't having the OP army but an army who can win without having luck and my rival doing a trully poor game... My first idea with these point was an undeath army. Easy to paint and for what I remember easy to play and if you learn how to play them you can win a few armies. Would you gimme your thoughs on the subject? Thanks for everything guys! P.D: When I talk with this guy he discourage me of playing Death until the new release. And told me to wait because he thinks this summer GW will release a new army made of elves. Wich I love. Hi, i'm new here. Regards from Spain. Hey there, Read the FAQ and I think this is allowed here if not, I'll delete. Thanks for reading, I'm new to AoS and starting an IronJawz army. I've been lurking here for awhile and list building. I hate joining a forum and asking how to build a list for the first post. I have some questions on resources and advice if any would kindly lend there knowledge. I came here because I started listing to tales of sigmar which led me to the black song podcast which then that brought me here. From Northern Canada and our small city is starting a 3 month AoS escalation starting at 1000pts. AoS is new to everyone (About 50-70 of us). So far I'm the only pure IronJawz player so don't have many people to throw ideas off and we don't have a local Meta yet. So before I show my lists or ask I have some other questions. Resources: I've read through all the starter and Ironjawz discussion that Chris has started which has been very good reading. I just recently joined Twitter because that seems to be where everyone shares ideas and the such. I'd really like to see some games of Ironjawz since the new handbook. Only ones I could find are from war gamming YouTube channel annnnd they seemed new. Do you guys follow anyone or a channel on YouTube or twitch that has videos or commentary on Ironjawz games? Also what's your favorite go too for listening and watching for AoS? List: So my little town is doing escalation like I said earlier and starting off at 1000pt. So I guess the idea is to cover all bases? 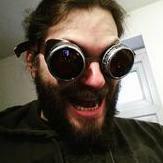 I have a generic list and one I built around a weirdnob stomping the place up and would like your views on them. 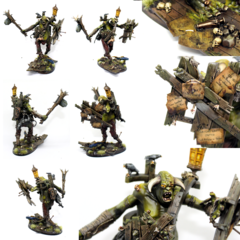 Generic list: Cabbage (General) :460pts Ourruk Ard'Boyz (5 shield, 5 Big forged choppa) : 180 pts Brutes (Klaw n smasha, Gore, Choppas) : 180pts Grot rock lobbers :100 pts Ironskullz: 80pts 1000 total Idea is I can split the army if need with cabbage and ironskull one side and the rest the other to capture pts. I think with the split it'll mess with people since where all new and use to just 40K murder and chase the big cabbage. Lobber can just sit back and fire at heroes. Weirdfist: My fun list which I got to try out and it was amazing. Wiped 20 dryads first turn, killed ancient second turn and orruks cleaned up the rest when they went charging out. Weirdnob Shaman: 120pts (General) Baldwind Vortex: 100pt Ard'Boyz: 180pt Ard'Boyz: 180pt Gore-grunta:140 Ironskullz boyz: 80pt Weirdfist :200 or Idea here is too nuke important units first round and take any close objs. Send Gore-Gruntas far flank to pick up objs on other side or flanking position. This list just seems fun but I think it'll get weak after 1000pt and from month to month we can only change 25% of the units. Any ideas or criticism on my lists would be welcomed. I'd also love to see your favorite 1000pt lists and how they work. Thanks for reading. Community seems very welcoming. Glad to be here. P.S: Any bettwr ways to copy lists from the app because damn that a bunch of repetitive writing on mobile. Hey guys, I’m a khorne player at heart and I love it, but lately I have had a rather strong desire to play destruction! (Specifically beastclaw raiders and ironjaws) The only issue is, I’m not really sure where to start with either, and was hoping anyone who looked at the thread despite the pun could give me some guidance with starting destruction, thanks!